Check out Hey Harriet for more Shadow Shots. 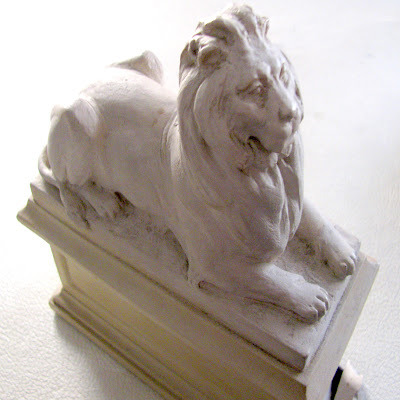 Those lions are iconic figures--figures that I'd like to see in person someday. Until then, your photo will do nicely! You have indeed made him look even more magnificent, Mary! What a terrific shadow shot for the day! Hope you've had a great weekend! The lion lies on all fours, looking as proud as he can be as he gazes on the patrons who arrive at the library to learn. Wonderfully captured! Good angle, you showed the crease on it's back. Nice! Looks almost like the one at the Boston Public Library.